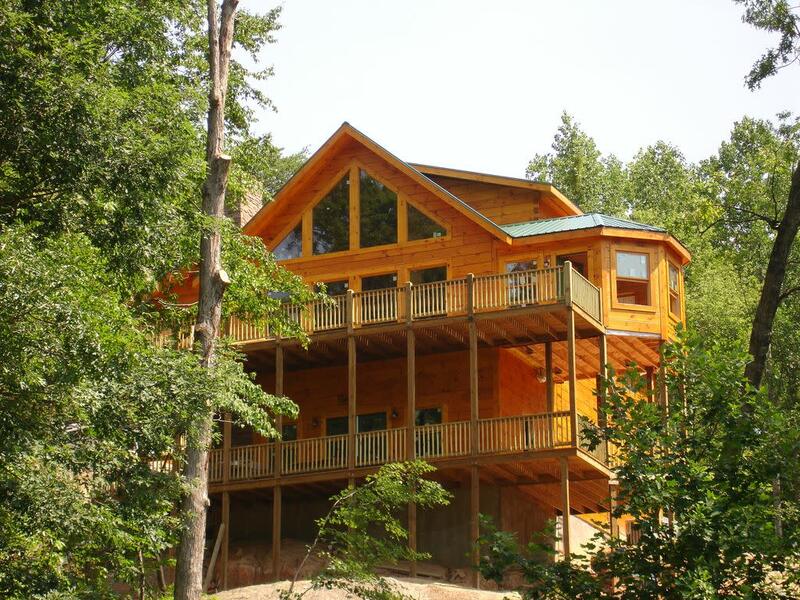 Dancing Falls is a 5-bedroom and 3.5-bathroom log home. Dancing Falls Lodge is situated on the golf course and overlooks the 16th hole (a scene location from the movie "Dirty Dancing"), a beautiful pond and waterfall. You can hear the soothing sounds of the waterfalls when you sit on the deck. Spectacular view of Bald Mountain from the covered front porch. 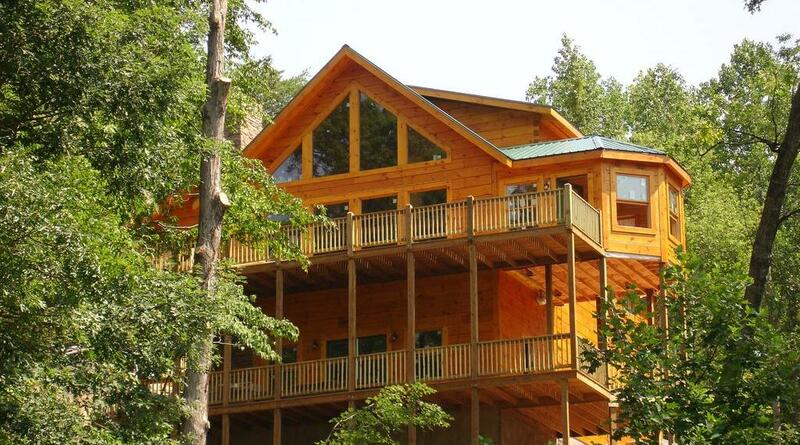 This log home, built in 2008, is located within the gates of the Rumbling Bald Resort. Only houses located in the resort have access to the resort amenities (2 golf courses, 3 outdoor pools, 1 indoor pool, private beach and marina with boat rentals available, tennis courts, putt putt, fitness center, spa, and more). Featured In Log Home Living magazine in 2012.